Because I never use the flash on the camera, soooo... ALL MY PICS ARE FAILED TO BE PRINTED!!! DAMN! I have to try this thing (I mean the camera) on again. Bahhhhh. Wait for the next post. But I don't know when cuz I'm in the middle of an exam now. 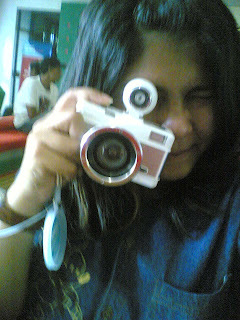 I have to study hard first then I go get busy with this cute camera again.